People in Japan must love Blossom as much as my BFF Lulu does. 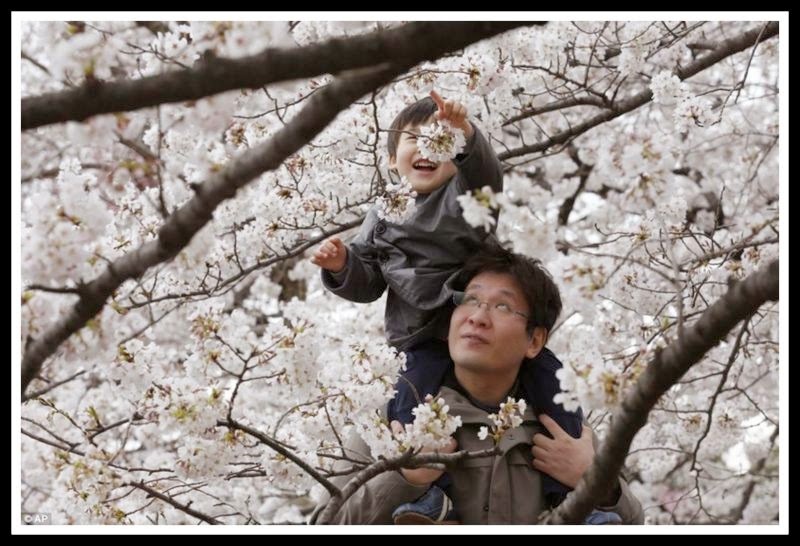 They have a special word that means looking at blossom- Hanami. It just means "flower viewing" but mainly they mean looking at cherry blossom. They even have huge parties to celebrate the blossom and get up really, really early to lay out their picnic rugs to keep the best places even though the parties don't start until after work! Special news bulletins on tv and radio tell them when to get ready! I've already spotted the first blossoms in gardens here. If you'd like to hanami too I can tell you which trees make the best blossom, where to go to see some pretty blossom displays and I'll share a fun blossom craft project for you to make. These Japanese cherry blossoms remind me of snow! 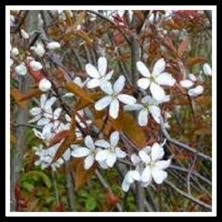 Blossom is mainly found on cherry, plum, peach, apple and pear trees. Cherry blossom normally comes out mid-April. Apple blossom normally late April until the 3rd week in May. So we have about 1 months to enjoy the blossom. If you have a pretty blossoming cherry tree in your garden and you'd like to find out what type it is you can use this handy website from the Natural History Museum. 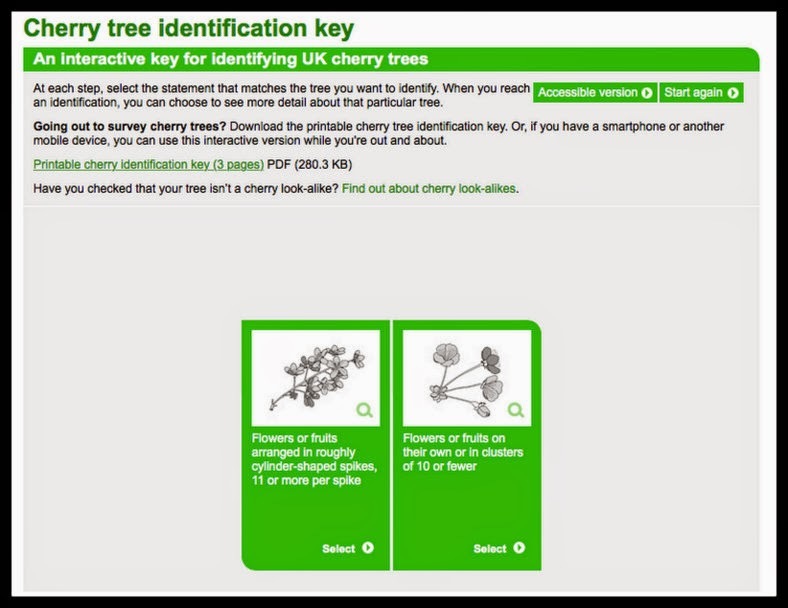 The Natural History Museum recently ran a cherry identification survey to see which types of cherry trees we had in the UK and if there were differences over the various areas of our country. From as far apart as Orkney and the Channel Isles we gave them loads of data from our gardens which is really helpful as private gardens are not normally studied. So far they have found that the wild cherry is our most popular type of cherry followed by the Japanese cherry. Also they found out that some of our cherry trees are a huge 9 metres tall and have trunks that measure 90cm all the way round- that's really, really big, and much bigger than the science boffins expected to find. 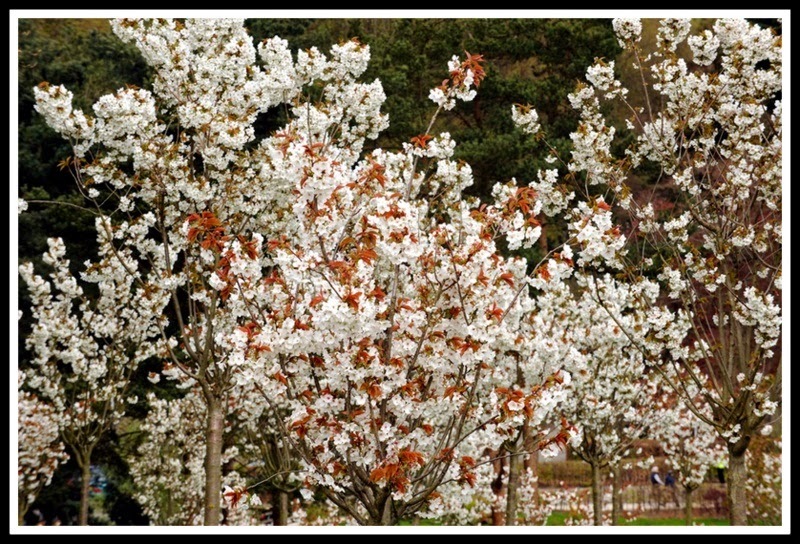 If you want a really pretty blossom display in your own garden which type of tree should you have? I think Prunus 'Kursar’ is a good choice. 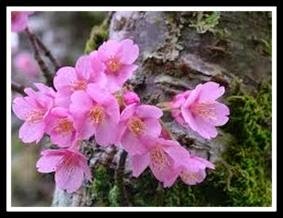 The dark pink blossom often flowers in March. Prunus 'Beni-yutaka’ flowers in late March or the first week of April. It has pink, almost flat flowers that smell gorgeous. It's a big tree though, not suitable for a small garden. Amelanchier 'La Paloma’ has narrow-petalled white flowers framed by chocolate-brown new leaves. Is still pretty to look at in Autumn & is perfect for a small plot. Prunus incisa 'The Bride’ has pure white, semi-double flowers which are bigger than other Prunus incisa types but the tree itself still only reaches 2-2.5m after 10-15 years. That's still a lot bigger than I'll ever grow! 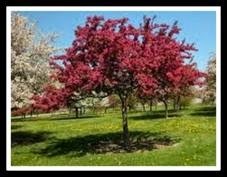 The crab apple Malus 'Indian Magic’ has purple coloured leaves and deep-maroon-pink flowers. The small dark red fruit stay on the tree well into Winter. The bark on Prunus serrula is lovely and shiny and would look fab even when the tree is not in blossom. Alnwick Garden in Northumberland. Lulu has been on holiday here and she loved it. They have planted more than 300 of the great white cherry Prunus "Tai Haku" on a sloping hillside. That's more than anywhere else in the UK. It must look amazing when they are all in blossom together in April/May. 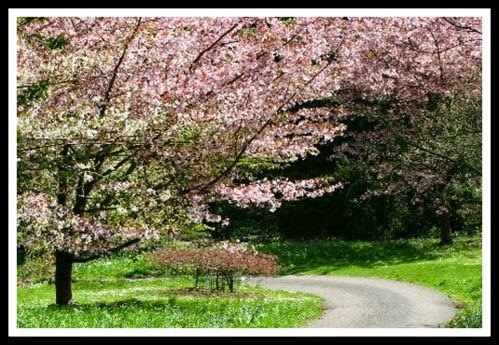 Batsford Arboretum in Gloucestershire holds the UK's National Collection of Japanese Flowering Cherries. It contains 70% of all the different types that we know about. That is a lot! Kew Gardens in London has 3 Japanese gardens which were built ages ago (well just in 1996, but still AGES before I was born!) If you walk from the Rose garden into King William's Temple and then on to the Temperate House you will see lots of different cherry varieties in blossom. 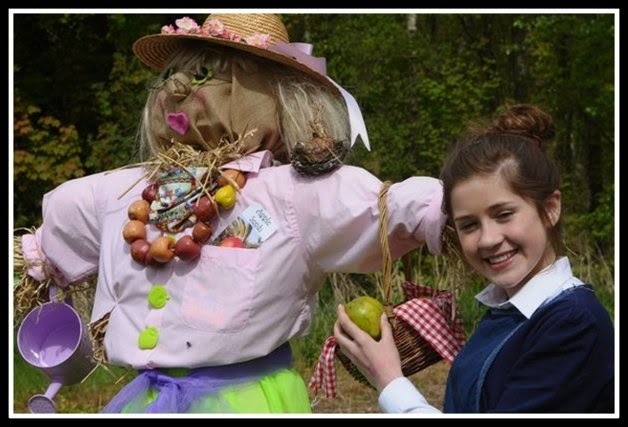 Loughgall Country Park, Co. Armagh, Northen Ireland has an annual Apple Blossom Fair. 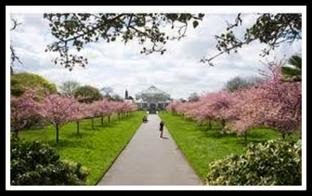 There are bike rides and walks through the pink and white blossom, craft & food stalls and live music to enjoy. Or bring along your dog and enter Scruft's Armagh! 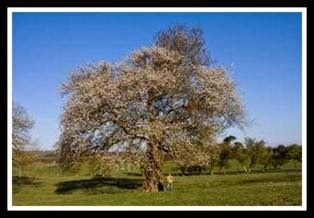 If you want to see the oldest cherry tree in the UK in blossom then you need to go to Maulds Meaburn in Cumbria. The 150 year old tree there is almost 14 metres high and measures 5.5 metres around its trunk. And if the one month display of real blossom in our gardens and parks isn't long enough, here are 2 great ways to get creative and make your own blossom tree you can keep. 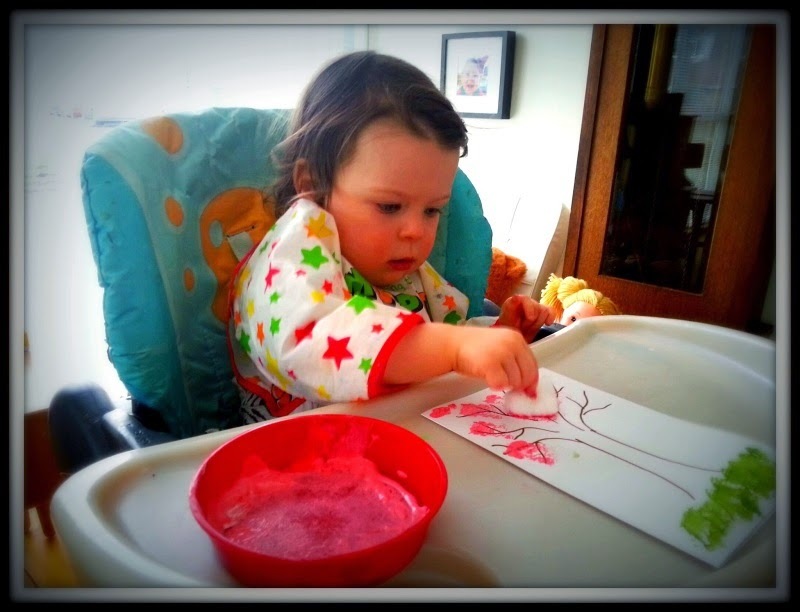 Last year Lulu showed you how to make a pretty pink blossom tree by dabbing cotton wool in pink paint. Paint your hands with brown paint and make 3 handprints in the shape of tree branches. Use your fingers to draw stripy bark for a trunk. Use your fingers to dab green paint on the tree to make leaves. Once tree is dry, rip up some white tissue paper, scrunch it into small balls and glue this "blossom"onto your tree.